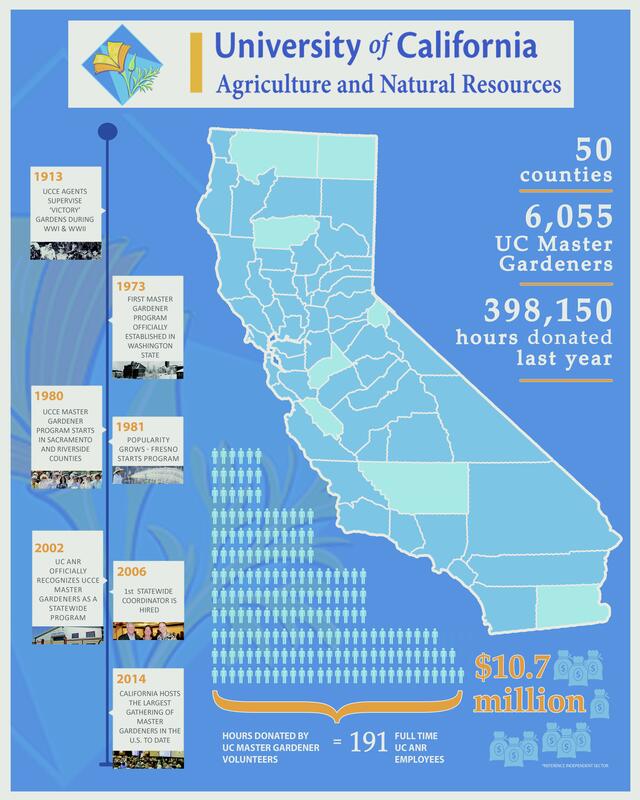 News and updates from the statewide UC Master Gardener Program office. Gardens Galore on 2017 UC Master Gardener Conference Tours! There is still plenty of time to sign up for one of the five fantastic garden tours that showcase some of the finest gardens in Southern California. Four day-long tours are offered Aug. 22, and one half-day tour is scheduled the morning of Aug. 23 which concludes in time to attend the welcome and enjoy the engaging key note speakers. The UC Master Gardener Conference tours were designed to give participants a behind-the-scenes look at how these gardens operate and have the opportunity to meet garden curators and UC Master Gardeners who are involved with these gardens. Come and learn a little about the history of these beautiful locations in both Los Angeles County and Orange County. Spend the day at this 120-acre estate, home to more than a dozen world-class gardens. While the Huntington Library, Art Collections, and Botanical Gardens is closed to the public on Tuesdays, they will open the gardens especially for UC Master Gardeners. 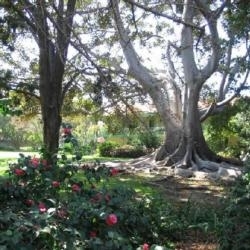 Participants will meet with garden curators, visit the Huntington Ranch where UC Master Gardeners share information on edible gardening, and explore the Huntington's fabulous Rose Garden, Japanese Garden, Australian Garden, Herb Garden, Desert Garden, and more. 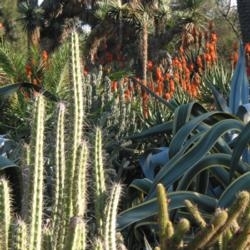 Visit Rancho Santa Ana Botanic Gardens (RSABG), the largest botanic garden dedicated to California native plants. 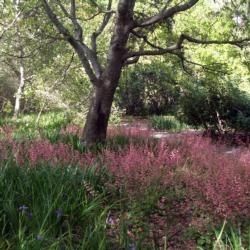 Spread across 86 acres in Claremont, the Garden displays about 2000 taxa of California plants and includes those native to the California Floristic Province as a whole. Enjoy a docent-led tour of the gardens and time to explore on your own, plus lunch at the outdoor classroom with a presentation by Peter Evans, director of horticulture at RSABG. Spend the morning visiting school and community gardens that showcase Los Angeles County UC Master Gardener activities. 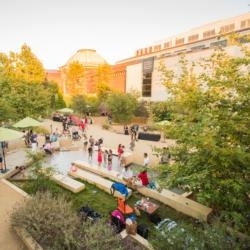 In the afternoon, visit the gardens at the Los Angeles County Natural History Museum, meet UC Master Gardeners and museum staff who bring the garden education programs to life. The 3.5 acre garden was designed with an eye towards attracting wildlife and studying nature in the city, including plants that offer food and shelter for wild animals. Tour the the South Coast Research and Extension Center and experience a variety of activities from demo landscapes to youth gardens, fruit tree field research projects to chickens and beekeeping topped off by a special luncheon. Travel next to the coast for a personalized tour of Sherman Library and Gardens. This 2.2 acre horticultural retreat offers a museum of living plants, displayed in a setting of gardens, patios and conservatories blooming with seasonal flowers and bubbling tile fountains. Finish the day at nearby Roger's Gardens, a destination home, garden and landscape design center. Shop to your heart's content! Already registered for the conference but want to add a tour? Click here to register for a tour only. 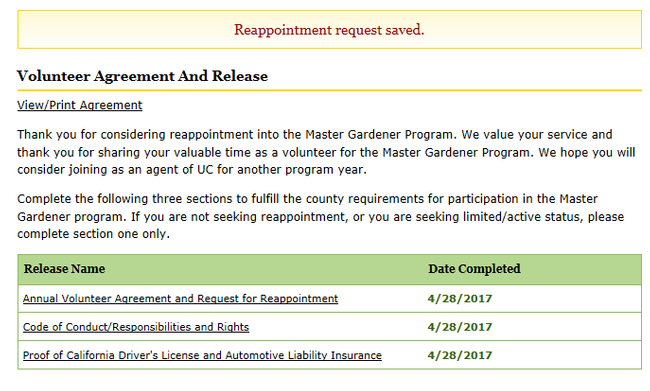 It's reappointment time for the UC Master Gardener Program! Before the reappointment process begins we would like to say thank you. Our dedicated volunteers are the heart of the UC Master Gardener Program and we couldn't make such an incredible impact in our communities without you. We hope you consider joining us as a volunteer again this upcoming program year. If the answer is yes, just follow the simple steps to reappointment below. Reappointment starts June 1 and is completed in the Volunteer Management System (VMS). Questions about reappointment? Contact your Program Coordinator, Advisor or County Director. Who must complete the reappointment process? How many hours do I need to volunteer for reappointment? Note: First year UCCE Master Gardeners / UCCE Master Food Preservers are required to complete a minimum of 50 volunteer hours (no continuing education requirement) before the next certification cycle. What is the date range for calculating hours for reappointment? The program year is July 1-June 30th. Hours currently being reported during the reappointment period are from July 1, 2016-June 30, 2017. That statewide office does not collect fees or payment directly from volunteers for reappintment. Please check with your county coordinator, director or advisor about fees and where and how to submit payment. There is still time to be part of the action! 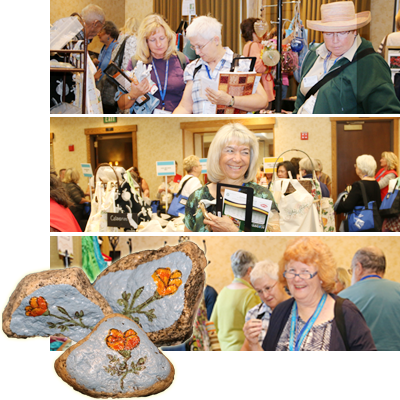 Featuring breathtaking views of the Long Beach waterfront and additional floor space the 2017 UC Master Gardener Conference MarketPlace is a fun and profitable way for counties to raise funds for their local program needs. Short application process, no need to provide sales details now! Ample room for your display table and display racks. Table and table cover provided. Secure room eliminates daily setup and takedown. MarketPlace is readily accessible by approx. 1,000 shoppers. UC Master Gardeners are eager to support each other's programs. We love to shop! Shopping is easy; credit cards, cash and checks will be accepted. An on-site private shipping vendor opens the possibility to increased sales. All UC ANR financial paperwork taken care of by the MarketPlace Committee. Assistance from UC ANR Program Support Unit guarantees swift transfer of profits. Reserve your table now! Monday, May 15 is the deadline for Program Coordinators, Advisors or Volunteer Leader to submit the short application. Shoppers especially enjoy the opportunity to purchase items unique to your county and pieces handcrafted by volunteers. Remember, the holiday shopping season officially starts this Aug. 22-25 in Long Beach. Contact your Program Coordinator, Advisor or Volunteer Leader to become part of the fun. Search For Excellence deadline has been extended! There's still time to send us your best work! Search for Excellence is a statewide competition designed to recognize outstanding counties and volunteers for projects that support the mission of the Master Gardeners Program. This competition is a unique opportunity to celebrate and share our accomplishments, by showcasing the tremendous talent of Master Gardeners throughout the state in creating innovative outreach programs. This year the stakes have been raised and the prizes are bigger than ever before! The extending deadline means programs have more time to submit their best work and allow those who did not previously consider this opportunity a chance to assemble an application. The extended deadline is May 12, 2017 by midnight. Please visit the 2017 Search for Excellence website for guidelines and application details. “There's Gold in them der hills!” Riverside County is a big county, stretching from the Los Angeles metro area to the Colorado River. The challenge was how to better fulfill our mission of educating the community of Riverside County on sustainable gardening practices. 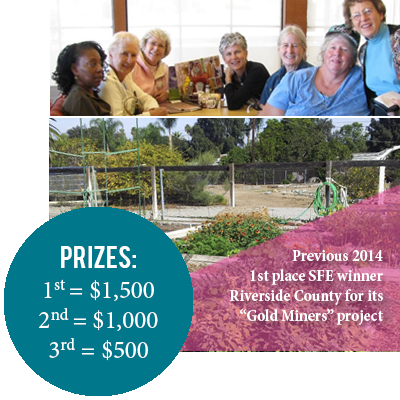 The answer – “Gold Miners.” The county was divided into nine geographic areas with a Master Gardener in each area actively pursuing volunteering opportunities. Since 2011, we have increased the presence of Master Gardeners throughout the county, giving Master Gardener opportunities to volunteer closer to home and increase the number of people who are Master Gardeners from the entire county. This one-acre teaching and demonstration garden on the grounds of St. Louise Hospital in Gilroy, Calif. was built for the purpose of extending our educational outreach to the far southern portion of Santa Clara County. Master Gardener volunteers provided hands-on public workshops in the garden as well as classes in both the hospital boardroom and community libraries. 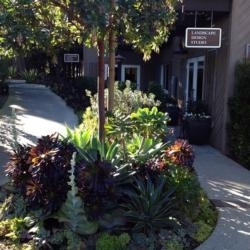 Objectives of the garden include: teaching residents about drought tolerant vegetables, fruits, and ornamentals well-suited to local growing conditions, and modeling sustainable gardening practices reflective of research-based horticultural principals. Master Gardeners of Orange County narrated and filmed a series of nine videos on the composting process and six videos on worm composting for their online video library. 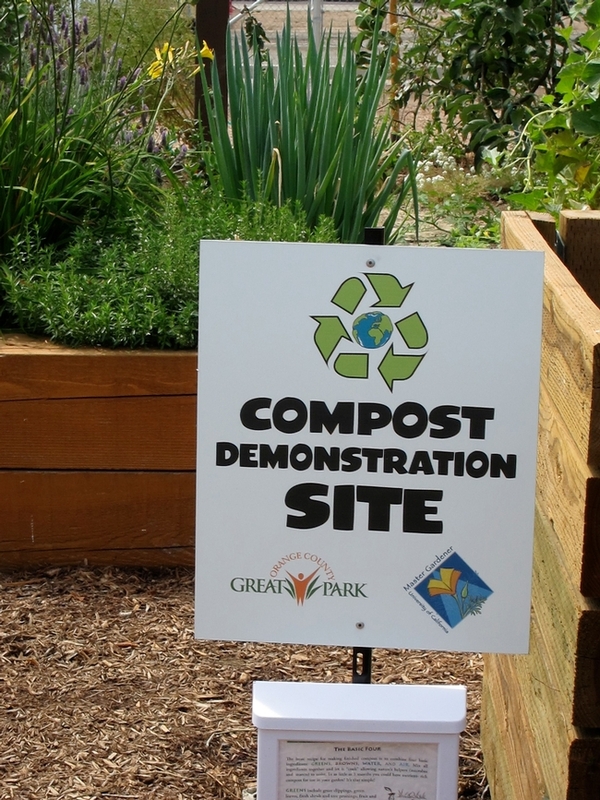 The videos are a step-by-step series explaining both pile composting and worm composting. Each series begins with an explanation of what composting is, as well as how to start, maintain and troubleshoot a compost pile or worm bin. The videos are posted on the Orange County Master Gardener public website. The videos are designed to instruct and encourage the gardening public to compost either at home or in community gardens or other gardening groups. If you think one of your county projects is a candidate, let your Master Gardener Program Coordinator or leader know about it! Volunteers Donated 398,150 Hours Last Year ... and More Reappointment Stats! Reappointment is complete and the statewide office is excited to share reappointment stats for the UC Master Gardener Program. 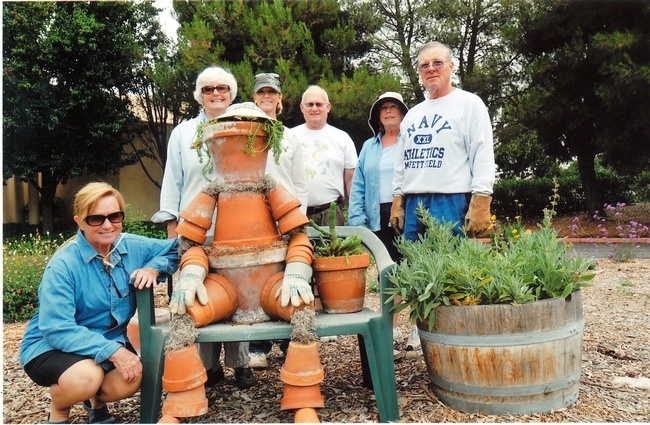 During fiscal year 2014 –15 the UC Master Gardener Program had 6,055 active volunteers who were dedicated to extending UC research-based home horticulture information to the public. County-based programs range in size from 13 to 315 volunteers - but the one thing they all have in common is their passion for horticulture, the desire to learn and willingness to share their knowledge with local communities! From July 1, 2014 to June 30, 2015 UC Master Gardener volunteers donated 398,150 volunteer hours and more than 4.6 million volunteer hours have been donated since the program's inception. If we want to think about this monetarily (and who doesn't?! ), the value of this time to UC ANR comes in at more than $10.7 million that's equivalent to 191 full time employees! Volunteering for their communities is not the only way UC Master Gardeners spend their time. Last year 88,300 continuing education hours were logged as UC Master Gardeners worked to keep themselves informed about new or advanced horticultural topics and trends. A sincere thank you to our incredible group of volunteers, for sharing your passion and valuable time to the UC Master Gardener Program! 13 Ways to Make a Garden Pollinator Friendly!